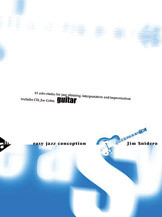 In the mode of his popular "Jazz Conception" series, Jim Snidero has compiled a new series for the beginning instrumentalist. These solos are very easy, requiring very limited playing experience. A great way to get kids started playing jazz now!